Rachel Minchin stands in the dock, accused of murdering the dissolute husband she was preparing to leave. The trial is sensational, and public opinion vehemently and almost universally against her. When the jury astonishes and outrages the world with a verdict of Not Guilty, Rachel quickly finds herself in need of protection. It comes in the form of a surprising offer of marriage from a mysterious stranger who has sat through every day of her trial. The marriage to this intriguing stranger, Mr. Steel, is by mutual agreement to be a platonic one, the only condition of which is that neither is ever to question the other about the past. The two travel to Steel’s remote country estate, where Rachel accidentally discovers that her second husband’s past was somehow intertwined with her first husband’s history – but how, exactly, and why he determined to marry her, Steel will not say. As her doubts about her husband increase, local busybodies threaten to unearth Rachel’s own past. And that is the least of the secrets that comes to light as this entertaining mystery unfolds. . . .Never mind, never mind," she whispered. "It is better, ten thousand times, that you should believe in me, that any woman should! Thank you, and God bless you, for that!" She was turning away, when she faced about upon the steps, gazing past the woman who believed in her, along the passage beyond, an unspoken question beneath the tears in her eyes. "He is not here," said the landlady, quickly. "But he did get over it?" "So we hope; but he was at death's door that morning, and for days and weeks. Now he's abroad again—I'm sure I don't know where." 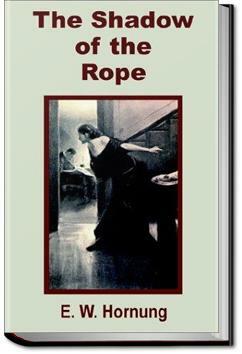 Classic British murder/mystery written in 1906; notable for portraying women in a rather modern, favorable light, showing concern for their unequal position in society. I have no idea why this book was raved about!! Too disappointing! A love story built around a murder mystery. Good plot twist I didn't see coming. Well worth reading. Really 3 and a half stars. I liked the end to the main mystery, but found the shift in telling the story through different characters a little distracting.